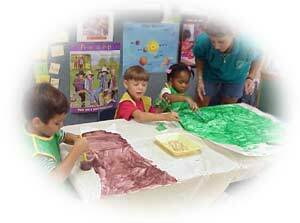 Our everyday curriculum is centered on creative activities developing our goals. 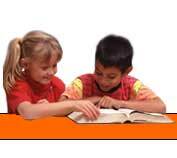 Each age group has developmental milestones to reach within their daily curriculum. Our Weekly and Monthly Thematic approach to learning allows the teachers to have their students, within each age level, experience appropriate developmental and cognitive skills that pertain to their own developmental needs. Basic readiness instruction in the areas of reading, math, science, health, and social development as well as the love for art and, music are all incorporated in our everyday curriculum. Our goals are to have the children gain a rewarding and creative learning experience everyday and to enjoy coming to school.